The bug can reveal the contents of a server’s memory – where sensitive data like usernames, passwords and credit card numbers is stored – and allows attackers to steal info without a trace. MILLIONS OF WEB servers worldwide have a software flaw which lets attackers access the security keys used to secure online commerce and web connections. The bug, named Heartbleed, is in open source software called OpenSSL which is widely used to encrypt web communications. The bug can reveal the contents of a server’s memory - where sensitive data like usernames, passwords and credit card numbers is stored. It allows attackers to eavesdrop on communications, steal data directly from the servers and users and to impersonate services and users. The bug was discovered by a team of security engineers at Codenomicon and Google Security researcher Neel Metha, who first reported it to the OpenSSL team. It is unclear how widespread the bug is since attackers leave no trace, something the team of security engineers confirmed when they tested the bug by attacking their own services. According to the researchers who discovered the bug, the bug has been present in version of OpenSSL for two years and the latest version, which was released on 7th April, is no longer vulnerable to the bug. 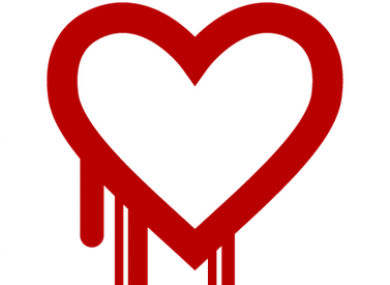 Another developer has published a tool which lets people check websites for Heartbleed vulnerability. Major sites like Facebook, Twitter, Amazon and Google are not affected by the bug, but others like Yahoo and OkCupid are still vulnerable. Email “'Heartbleed' security bug leaves encrypted web servers at risk”. Feedback on “'Heartbleed' security bug leaves encrypted web servers at risk”.